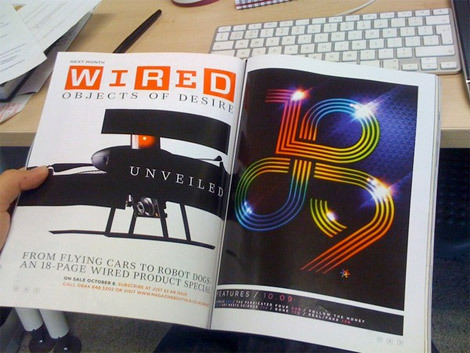 I was approached by the kind folks over at WiredUK Magazine to design the title page for their October 2009 feature section. I’ve been a fan of Wired since back in the mid 90s so it was an honor to be able to contribute to the UK version of the magazine. My task was to simply design the numerical month ’10, 09′ in whatever way I saw fit. 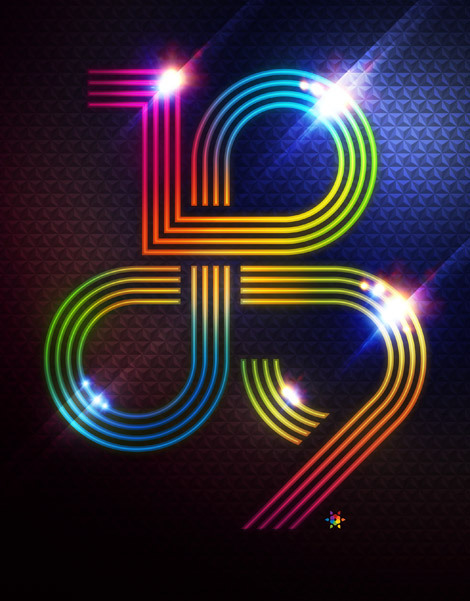 They even let me keep in my little Signalnoise logo. The initial inspiration behind this piece came from a racecar track I had as a kid, combined with that of Epcot Centre ads from the early 80s. The October issue should be on newsstands now in the UK, and where ever else it is sold. Big thanks to WiredUK for the wonderful opportunity, and to Gav Strange for snapping the photo above. Absolutely gorgeous, can’t wait to see it in the flesh! that would be a dream come true for me! so jealous. Can totally see this in motion too. 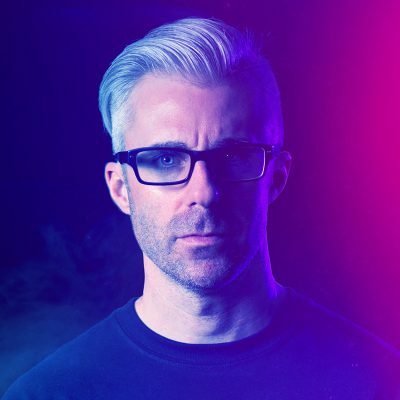 Great stuff, and congratulations on getting the space in Wired! I really like the light of it! it’s so good. That is one of the best pieces of artwork i’ve seen in a while man! I don’t read wired but if i walked past that i’d find it pretty damn hard not to pick it up for a look. Great work!! Very cool. I’m loving the Epcot texture. awesome work man! love it. Your use of color and depth never ceases to amaze me.